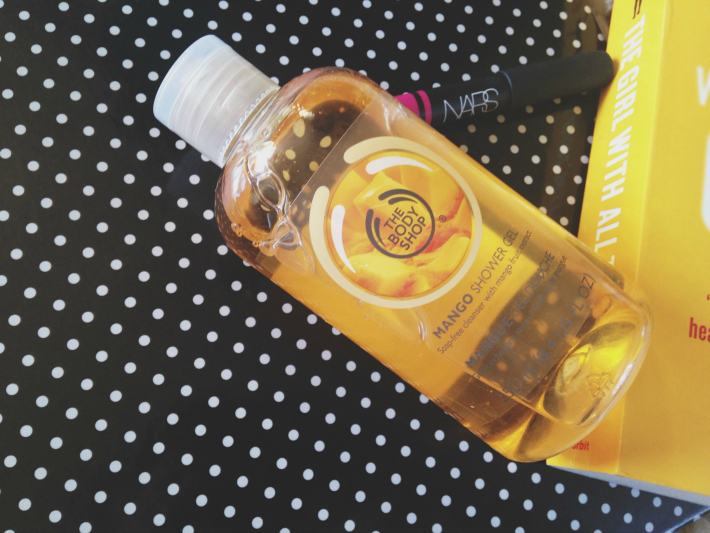 I've never tried any of the shower gels from The Body Shop but I was given the Mango set for Christmas. It includes a soap, shower gel, scrub and body butter. Firstly, the smell is amazing! I actually bought the set for the same person who bought me this. Great minds! I can now understand why this is one of their favourite smells. It's definitely mine now. I bought the Raspberry body butter in October time but even that isn't as good as Mango. And second, it leaves my skin feeling so soft, especially the scrub. To be honest, the whole set should be in this monthly favourites post! I would recommend the mango range to anyone. This NARS Satin Lip Pencil in Yu is divine. 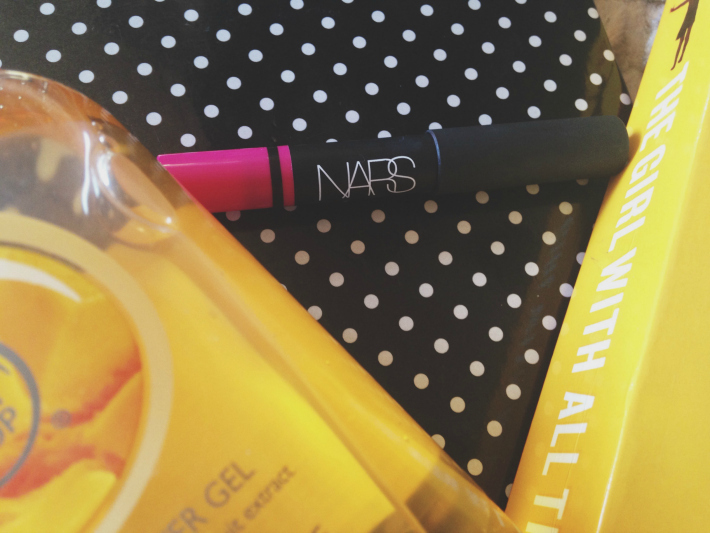 I love a bold lip, and pinks in particular, and this is such a vibrant, soft pencil. I wrote about the set this pencil comes in HERE. I said Yu is my favourite from the set and I still stand by that. It has a hint of shine but it applies to a matte finish on the lips. Its lasting powder is great too - it lasted for at least 6 hours even after I ate dinner. 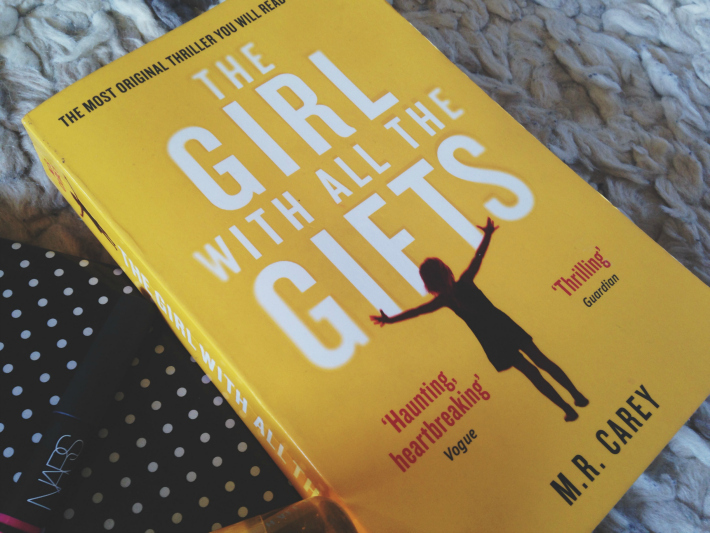 I bought The Girl With All The Gifts by M.R.Carey in October to read whilst I was in Gran Canaria. I didn't get into it at the start but I began reading it this month and I'm addicted! It's a dystopian future, where most of civilisation is brought down by a deadly virus that turns humans into "Hungries" - zombie like creatures. The protagonist, Melanie, is classified as one of these creatures but her thought processes are still that of a human. Carey builds up suspense throughout the novel about what Melanie really is and the fate of her group, who are trying to survive in a world full of "Hungries". I haven't finished it yet but I'm absolutely loving it! 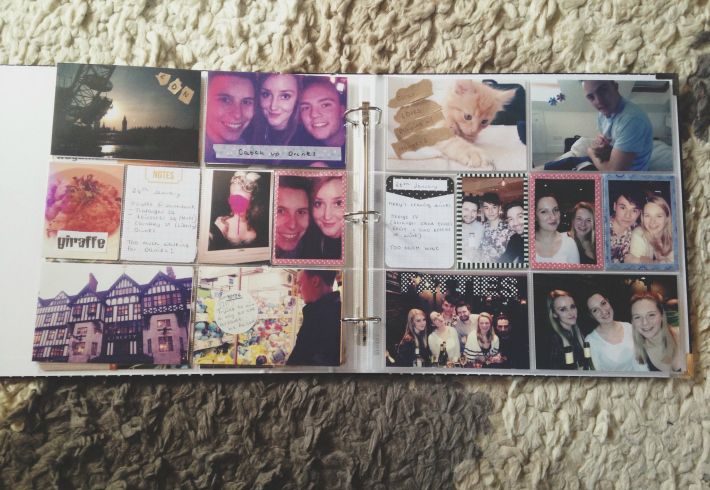 My last favourite is my Project Life scrapbook. If you read my blog, you'll know that this scrapbook is one of my resolutions for 2015. I'm enjoying being creative and putting all my photos together. There's something so therapeutic about printing out photos, and not just putting them on Instagram. I don't use the core cards that much, I much prefer filling up the scrapbook with photos and adding some washi tape or stickers. I'm hoping this hobby is something I can continue throughout 2015 because it's so relaxing for me to put it together on my days off. 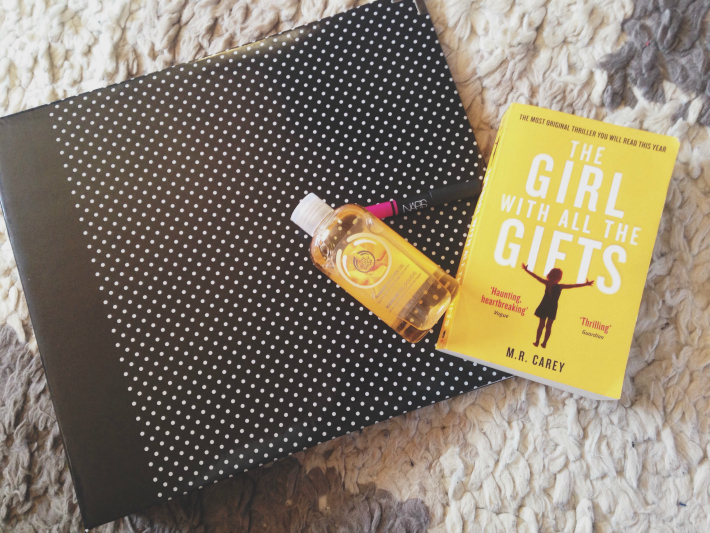 Gotta find the book, "the girl with all the gift" Thank you for sharing!